(born February 18, 1959 in Reykjavík) is an Icelandic writer and artist. 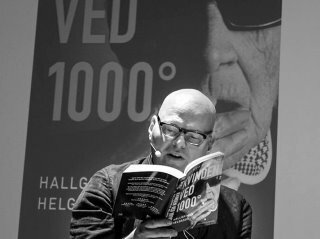 His best known books are 101 Reykjavík (1996), The Hitman's Guide to Housecleaning (2008) and The Thousand Degree Woman (2011). Two of his novels have been turned into films and four of them have been adapted for the stage.